Systems Part Numbers: F5114, MH596, MH595, RT490, NH429, P9550, U9087, X9072. We will respond promptly to your inquiry. These should also work with “ Tested, in good working condition. ”. 1 (ONE) DELL GENUINE DA-3 AC POWER ADAPTER. Output: 12V 15A. 1 (ONE) CABLE CORD. 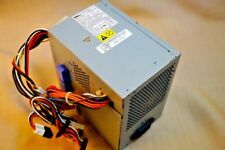 Genuine DELL L305P-00 Power Supply 305W M8805 M8806 Optiplex GX620 GX520 TESTED! Dell Part Number: UH870 0UH870 CN-0UH870. Power Output: 305W. OptiPlex GX520 GX620 GX280. Dell OptiPlex GX520 GX620 GX280 Series. Genuine Original Dell CX305P-00. 1x Floppy Disk Drive Power Connector. Dell OptiPlex GX280, GX520, GX620. Includes the blue plastic cable organizer (as shown). Dell P/N: M8805. Max Output Power. Floppy Drive Connectors. No product liability is included under any circumstances. Compatible Part Numbers: TD570 0TD570 CN-0TD570 YD080 K8964 Model H275P-00 HP-L275GF3P. Part Number: TD570. Fits model(s): DELL Optiplex GX620 GX520 740 745 755 SFF. Dell P/N: MH596. Dell OptiPlex GX520, GX620, 745, 755 …etc. (DESKTOP SYSTEM ONLY). Compatible with the following DT (Desktop) computer systems including Max Output Power. Floppy Drive Connectors. Compatible Dell Part Numbers: 2V0G6, RWFHH, 6RG54, MPM5F, N6D7N. Output: 235w Max. It's fun and easy and everyone wins. Otherwise, the order is already on its way. Our approach to tech recycling allows us to utilize perfectly good products that would otherwise head to the landfill. 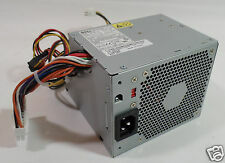 Dell 0YD080 YD080 N275P-00 275W Power Supply for Optiplex GX520 GX620. Condition is Used. Shipped with USPS Priority Mail. Compatible Part Numbers: P9550 0P9550 CN-0P9550 MH596 MM720 NH429 RT490 U9087 WW109 X9072. Part Number: P9550. Fits model(s): Genuine OEM Dell OptiPlex 320 740 745 755 GX520 GX620 SDT. Dell P/N: D5032 / 0D5032. Item is pulled from working system, and has tested with Dell system to verify in good working condition. Includes the blue plastic cable organizer (as shown). OptiPlex - GX520, GX620 (MT – Mini Tower case). Trending at $15.06eBay determines this price through a machine learned model of the product's sale prices within the last 90 days. Dell P/N: K8965. OptiPlex GX520 GX620. Compatible with select Dell Desktop (DT) Computer system including Max Output Power. Floppy Drive Connectors. No product liability is included under any circumstances. Testing Procedure. If possible, include photos or video to assist in understanding the problem. Key Functions Test Expected Result Result. Tested for key functions, R2/Ready for Resale. We are not staffed to research/report compatibility concerns. These were pulled from working Dell OptiPlex 745’s. OptiPlex GX520. Model Compatibility: OptiPlex Gx620. Manufacturer: Dell. Input Power Range: 100-120V / 200-240V. Line Frequency: 50 - 60Hz. Compatible Part Numbers: YD358 0YD358 CN-0YD358 RW739 RM117 YK840 N8368 XM554 FR619 PW124 WU142. Part Number: YD358. Fits model(s): Genuine OEM DELL OptiPlex 740 745 755 GX520 GX620. We will be glad to assist in any way possible. Item Condition. It will be used only to process your order. We do record the serial number for our purpose. This rigorous process is conducted from inside to outside. Compatible Part Numbers: KC672, K8965, M8801, M8803, MC638, N8374, NC912. It's fun and easy and everyone wins. Otherwise, the order is already on its way. This is a GENUINE manufacturer part. Our approach to tech recycling allows us to utilize perfectly good products that would otherwise head to the landfill. 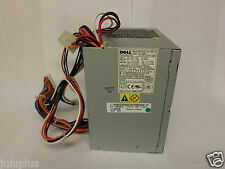 Dell PN: TD570. 275W Max Out. Model: H275P-00. Good working part removed from a retired computer / server. Output connectors includes 24(20 4)pin, P4-12V 4pin, SATA II 15pin, Molex 4pin, and FDD 4pin. It’s always possible when dealing with any technology (used or new) that it may be dead on arrival. Shows normal signs of use and storage. Working pulls from upgrade. Power Output275W. Part NumberK8964. ConditionLike New. Product Specifications. The Dell part number is MC638 and model is H220p-00.